Amazon has launched a website and Twitter account for its upcoming Lord of the Rings prequel TV series. 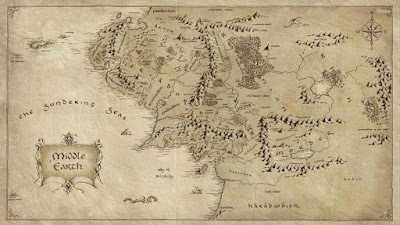 The website so far only consists of a big, blank map of Middle-earth, one that presumably will get filled in with new information once the series starts. 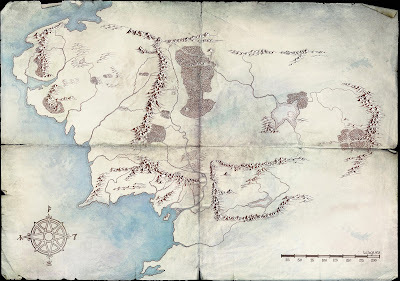 This map is notable for a curious feature: it extends further east than most previous maps, showing mountains and forests on the far edge of the lands of Rhûn. Whether this is an aesthetic choice or hints that the TV show might take us to this region remains unknown. The Lord of the Rings TV series will reportedly explore a period between The Hobbit and The Lord of the Rings, focusing on the adventures of a young Aragorn, son of Arathorn, in the time period when he travelled into remote regions of Middle-earth. Production is expected to start at the end of this year for the show to debut in late 2020 or early 2021. 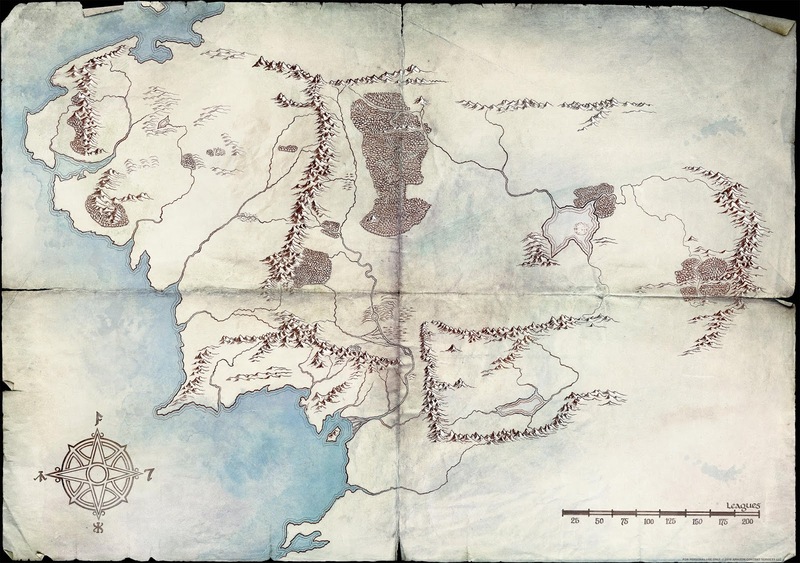 Edit: The eastward extension of the map actually comes from a movie tie-in map released in 2001 for The Fellowship of the Ring (see above), so may not be particularly relevant to this new map. Just wanted to mention that the map appears to be based, in some aspects, on Fonstad's "The Atlas of Middle-earth".